Your Middletown, MD home’s water system is a big part of your quality of life. While not every home experiences problems with the water system and plumbing, hiring a professional for periodic water testing services to make sure is always a good idea. 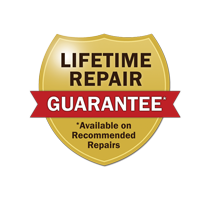 If your system is experiencing problems, Larry & Sons can help resolve it. Our technicians are highly trained experts with extensive knowledge in the field. Corrosion around your fixtures or red and yellow discoloration. This is a sign of metals in your water or possible pipe corrosion. The water tastes funny or bad. This could be due to a pH imbalance or too much salinity in the water. Sudden illness in your family or pets. If you notice, everyone seems to feel bad but you cannot figure out why, it could be contaminated water. Your house is old. There are a number of older homes in the area. Some might still have original pipe work that could be in the process of corroding. Some older homes had pipes with lead, so it is a good idea to make sure the pipes are new and lead–free. Why Get Your Middletown Area Water Tested? It is always beneficial to have your water and plumbing system tested on a regular basis even if the home is new or recently renovated. In renovations, it is always possible that something came loose or a contaminant snuck into the water supply. We will test your water supply for pH imbalance, bacteria levels, and TDS levels to make sure your water quality is the best it can be. We recommend testing for heavy metals every three years, since they do not often fluctuate too much on a yearly basis. Our professionals will test for chlorides, nitrates and arsenic. These metals tend to enter the home’s plumbing system from the outside, and their presence can indicate a break in the system somewhere. Our skilled plumbing professionals are knowledgeable about water treatment and water filtration issues and give you the services you need to clean your water supply and give you peace of mind in knowing that your water is clean and safe to drink. Live in Middletown, Hagerstown, MD, Frederick, MD, or the surrounding areas? Contact Larry & Sons to learn more about how we can provide expert water testing and treatment. Your comfort and safety are important to us, so give us a call, and we will be happy to schedule an appointment to inspect and evaluate your home’s water supply and filtration system. Larry & Sons provides top quality water quality services in Hagerstown, Frederick, MD, and the surrounding area.